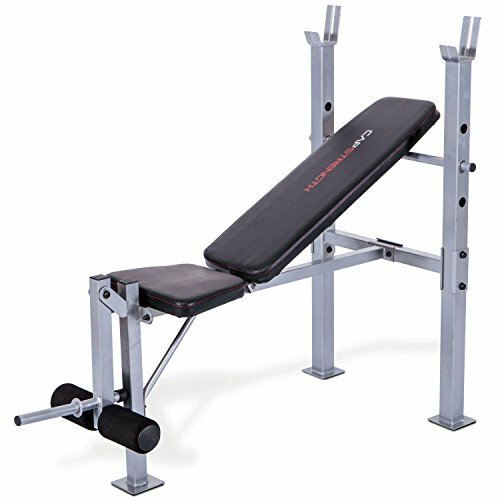 The cap strength standard weight bench with leg developer is the perfect bench for beginners and light lifting. Features include leg extension/Curl attachment and four-position back pad. Attractive padding, metallic powder-coating and oversized oval tubing give this bench the right look for the perfect routine. The bench accepts five-foot and six-foot standard one-inch (diameter) weight lifting bars.